← Help us send “Color Me Rad” to print! 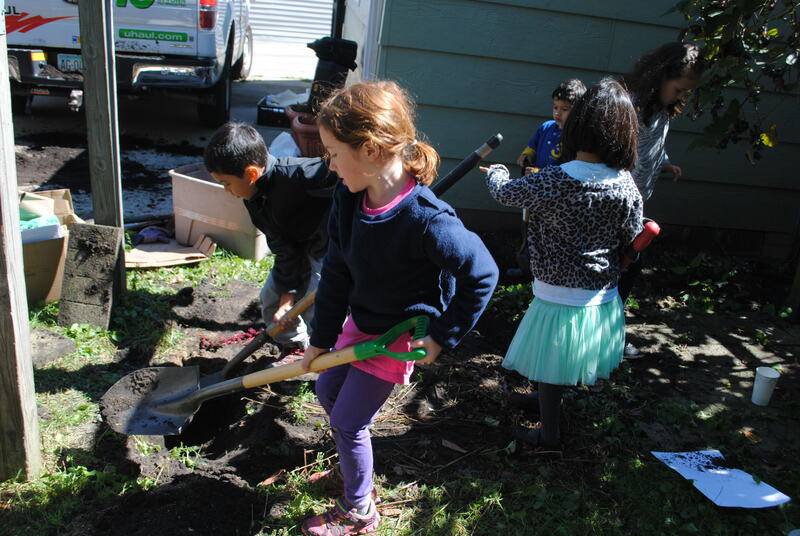 Digging and painting…to liberate a house! 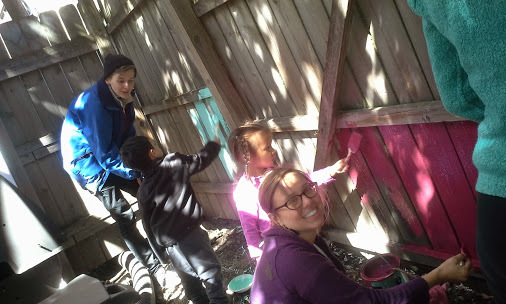 We painted fence posts. We dug holes in the dirt. We ate grapes off the vine and stayed warm with Maria Dolores’ delicious homemade pozole. We threw frisbees and played on swings. Quite simply, we spent the day in community with our neighbors at the liberated house on Ridge Ave in Rogers Park on Saturday, September 13th. For the past two years this home has been a site of community meetings and retreats, and a safer space for a family with young kids. Now there are garden beds, where fresh vegetables will be grown and distributed in the area. Just last week they showed a screening of the film ‘Which Way Home’ for community members. Next week they go back to court to fight eviction, and are up against one of the biggest financial institutions in the United States. 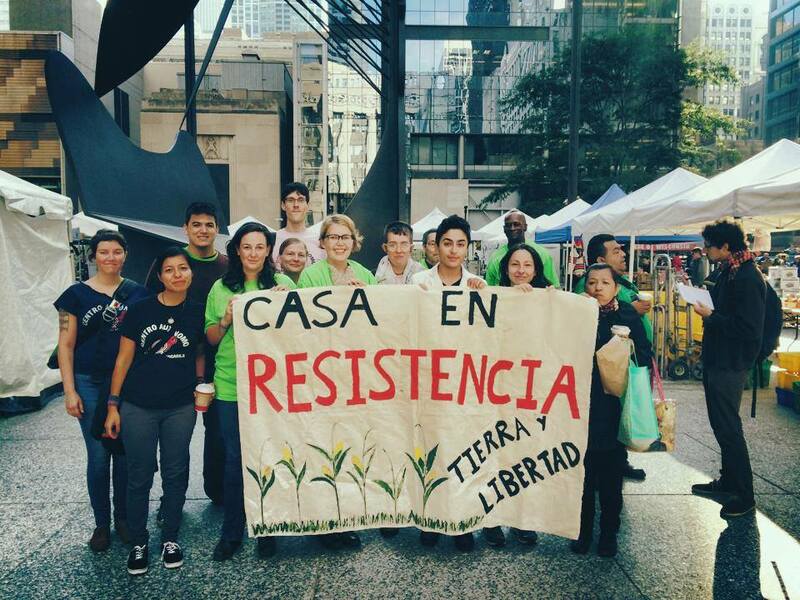 Our partners at Communities United Against Foreclosure and Eviction (CUAFE) are fighting for the property to be donated to a community land trust. 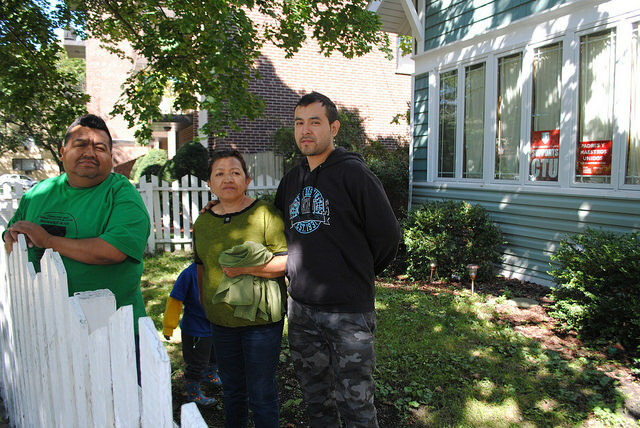 They want to keep this home in the hands of the community; Bank of America (with the help of the Cook County Sherif’s Department) wants to kick out the family who lives in it and force the house to sit empty. community builders and housing liberators. This community of housing liberators bring to light important questions that get at the heart of capitalism’s nonsensery. Are houses for people or for banks? Should a property sit empty to amass wealth for a few people far away, or be used to provide shelter and build community for the people who live and work near and in it? Emiliano Zapata said, “the land belongs to those who work it.” CUAFE tries to live that philosophy. Volunteers with the Chicago Childcare Collective show up to events like the garden party last weekend to make sure parents can organize for a better Chicago and kids can play. We have partnered with CUAFE to fight evictions and help reclaim houses for communities (instead of banks) since the summer of 2012. Look out for upcoming announcements and ways to defend the house. La tierra es de quien la trabaja! 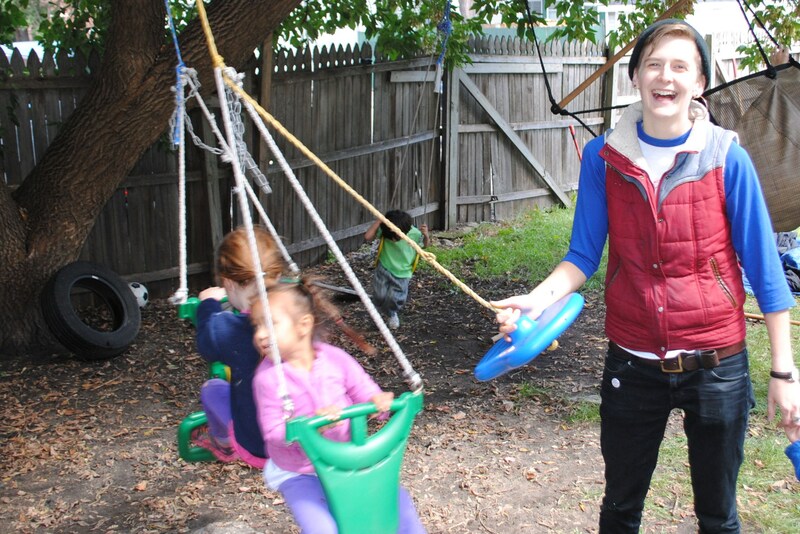 kids rocking in an epic swing with a Chichico volunteer.